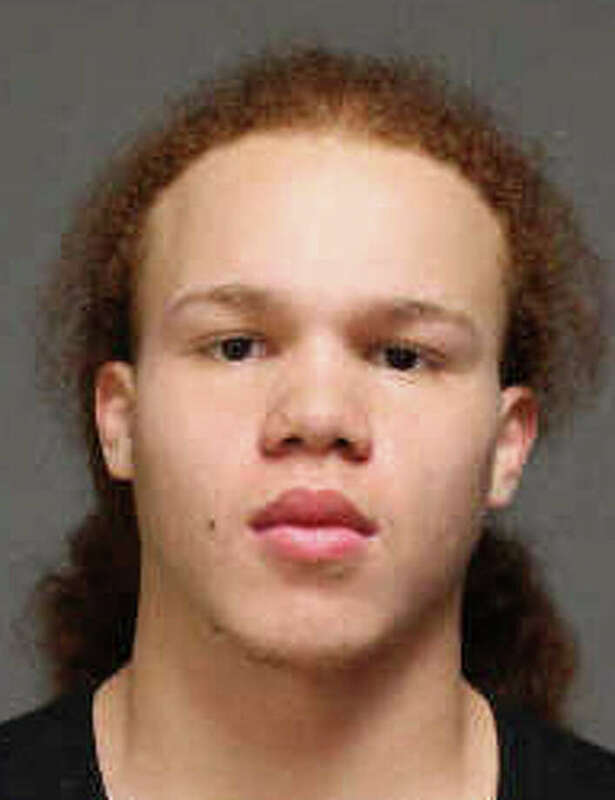 Hector Morales, 19, of Bridgeport, was charged with breaking into 10 cars. After police stopped a car on Black Rock Turnpike early Monday, three people wound up facing charges of breaking into 10 cars in the Dawn Street/Black Rock Turnpike area. Officer Matthew Riendeau stopped a tan Honda about 2:45 a.m. Monday on Black Rock Turnpike, and after conducting a computer check on the license plate number, discovered it belonged on a different car. He said the car's three occupants -- Luis Gonsales, 18; Hector Morales, 19, and a 15-year-old juvenile whose name was not released, all from Bridgeport -- appeared nervous and were ordered out of the car. Morales, police said, admitted the trio had just broken into several cars parked nearby. Of the 10 cars entered, police said, windows were broken on nine of them to gain entry. In the Honda, police said they found cash, cell phones and GPS units, along with a 3-inch knife, flashlights and screw drivers. All three suspects were charged with 10 counts each of third-degree burglary, conspiracy to commit third-degree burglary, sixth-degree larceny, conspiracy to commit sixth-degree larceny, nine counts of second-degree criminal mischief and one count of possession of burglary tools. Morales and Gonsales were also charged with risk of injury/impairing the morals of a minor. The juvenile was turned over to a relative, and is scheduled to appear in juvenile court on Nov. 26. Morales, who lives on Garfield Avenue in Bridgeport, was also charged with misuse of license plates, operating an unregistered motor vehicle, having no insurance, and driving without a license. He was held on a $100,000 bond and is scheduled to appear Nov. 25 in Bridgeport Superior Court. Gonsales, of Lexington Avenue in Bridgeport, was also held on a $100,000 and will appear in court on Nov. 25 as well.